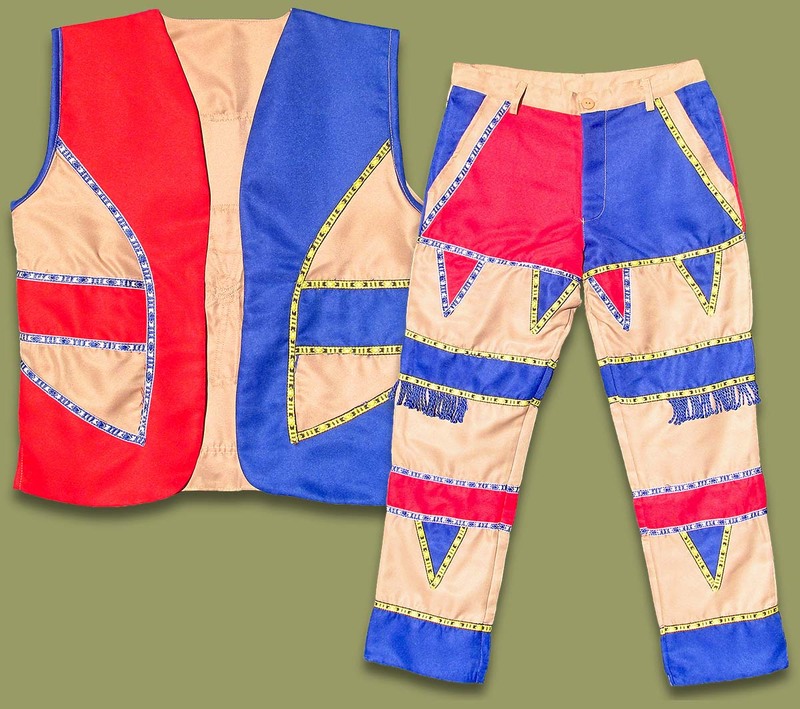 umBlaselo Zulu Mens Waistcoat (Vest) Trouser Set. Traditional Zulu men's outfit worn to celebrations and events. The umBlaselo originated from old clothing that was patched over to further the life of the garment, this has now developed into this colorful traditionally South African outfit highly prized not only by Zulu men but all African men. Available in standard men's clothing sizes: 28 - 44. ALL umBlaselo are handmade in 3rd world conditions to 3rd world specifications and are totally imperfect in every way, the stitching, button holes, zips, sizes may be imperfect and the general quality is less than desirable. This is the nature of ALL umBlaselo (not just the ones we sell). If you order this product you do so entirely at your own risk and we will not accept any returns for any reason. Every umBlaselo set is handmade and will be different colours to the shown picture.